Axum restaurant 1934 9th St. NW Washington, DC is named for the wealthy, ancient kingdom located in what is now northern Ethiopia and Eritrea. Known also as Askum, the kingdom lasted for almost a thousand years. Phillipson, D.W. 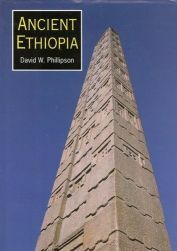 Ancient Ethiopia: Aksum, its antecedents and successors. London: British Museum Press, 1998.